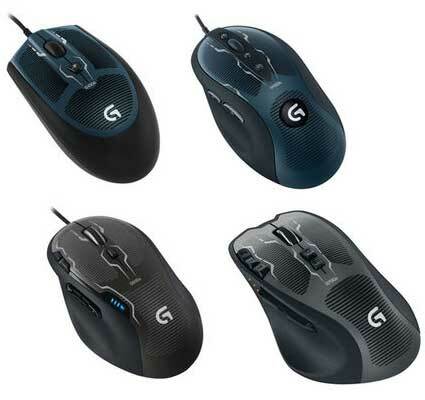 Swiss company Logitech today announced the launch of a new gaming product line Logitech G. It includes four advanced mouse, two keyboards, and two new headsets. The novelty Logitech G700s Rechargeable Gaming Mouse is the same response rate as that of wired mice. In fact, the receiver is constantly communicating 2.4 GHz, which is eight times faster than conventional USB-mouse. In the event that game session is long, you can connect the cable to the device and continue to play while charging via micro-USB. For those who wish to expand their gaming experience, provides downloadable software Logitech Gaming Software (LGS). For thirteen programmable buttons on the mouse it can be used to specify different actions, such as multi-stage complex macros: the repetition and controlled delay in the execution of commands. Especially for fans of the genre FPS mice Logitech G500s Laser Gaming Mouse provides ultra-fast scroll wheel with a dual-mode laser sensor gaming class, accurately tracks the cursor on different surfaces. At the site of contact between the body and hands coated robust hydrophobic coating, so the mouse will not slip in your hand. Tough rubber insert ensures a comfortable grip device. In the body of the mouse is the cartridge, which can add up to 27 grams of extra weight. Since weight of the device is configured and shifted the center of gravity for a more comfortable game. You can also change the mouse sensitivity on the fly using the two buttons next to the index finger. 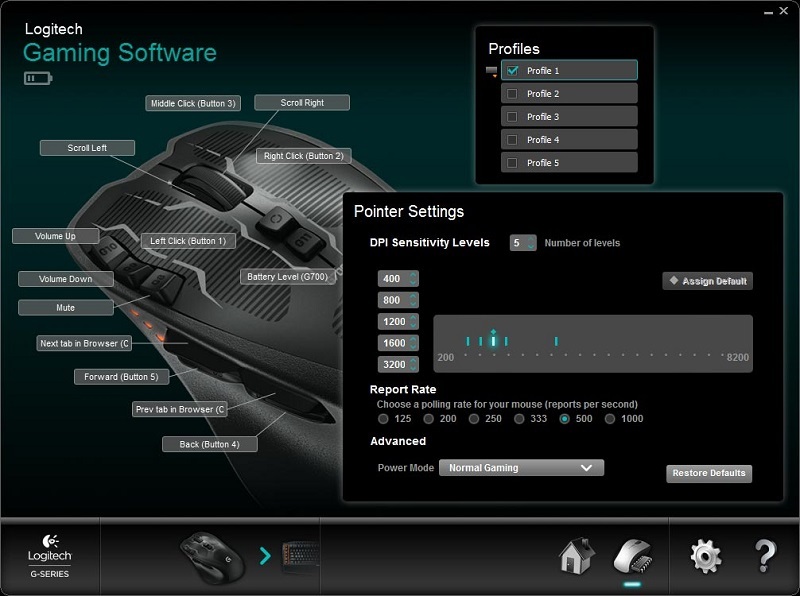 At Logitech G500s Laser Gaming Mouse has 10 programmable buttons that can be configured in LGS. Additional software can be used to remap the game commands, or set the macro with a complex sequence. This new product is designed specifically for gaming FPS genre and to the involvement of Delta Zero sensor technology for accurate cursor tracking. 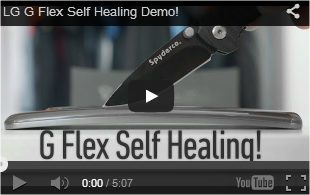 At the site of contact between the body and hands coated hydrophobic coating, so the mouse will not slip in your hand. On the main button is special stuff, so they will not fade, and on the sides provide a soft rubber insert. The design of the mouse provides mechanical switches with safety factor of up to 20 million keystrokes. Eight programmable buttons can be customized with LGS. New also allows you to switch between different modes of sensitivity – the keys are located next to the scroll wheel. At 4000 DPI, for example, you can quickly view a map, or a flash to turn 180 degrees and shoot, and at 400 DPI will aim accurately or carefully selected units in strategy. 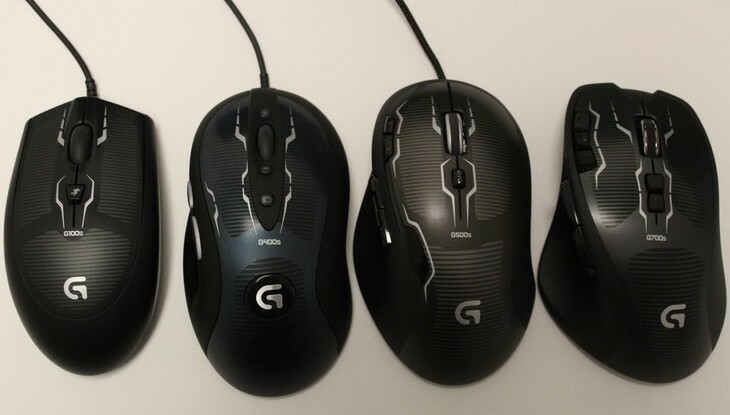 Logitech G100s Optical Gaming Mouse is specially made for the fans of RTS and MOBA. It is designed with all the benefits of the Logitech G1 Mouse and the Logitech Gaming Mouse G100. The buttons have a device specifically designed for a large number of taps. Over conventional mouse, which can not withstand intense gaming session, the Logitech G100s has an important advantage: improved mechanical switches with safety factor of up to 20 million keystrokes. In place of the contact body and hands coated hydrophobic coating, and the main buttons processed material, which prevents erasure. New product suitable for both lefties and righties. In addition, it is easy to hold as you are comfortable because of the trapezoidal shape: this is particularly useful during long gaming sessions. Here We present a top stories section with articles covering all aspects of gadgets. Tech News, Reviews, Latest Gadgets & Technology News including Laptop, Tablet, Mobile, Videos, Gaming, and many more. Grab the RSS feed to be in a course the latest advances in gadgets.